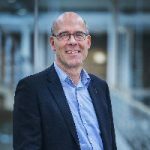 T oday’s blog has been written by Daphne Piereij and Martijn Mullié, who are 2 students studying for the minor Treasury Management at the University of Applied Sciences in Utrecht. We welcome their contribution – it is good to see the youth engaging in Treasury matters! Here is their opinion on FX – risks versus technology. “The one unchangeable certainty is that nothing is certain or unchangeable.” Those words were uttered by former US president John F Kennedy in a State of the Union address before Congress in 1962. This still applies to the current state of the world. Especially within the financial markets and with FX Risks. Managing these risks have been completely revolutionized the past decades because of the new innovations in technology. Traditionally traders manually update their volatility surfaces and bid-offer spreads, and that default pricing would have gone directly out to clients. More efficient is to use the electronic market data and automate much of that process, particularly in the most liquid currency pairs, creating a more transparent, data-driven practice. Faster, cheaper computing power enables risk functions to use reams of structured and unstructured customer information to help them make better credit risk decisions. In the future while this technology evolves and the quality of analytics of big data becomes better it will be easier to manage FX risks. This method improves the accuracy of risk models by identifying complex, nonlinear patterns in large data sets. Every bit of new information is used to increase the predictive power of the model. Keeping in mind the words of former president John F. Kennedy the world will never be predictable and neither will the financial market. Because it’s not ran by machines but by humans, and humans are in general unpredictable. Which means this process has no end until the financial markets are managed by machines which are predictable. The internet can motivate people with challenges to work together to make algorithms for analytic functions so market data can be used more efficiently. It’s not always the most effective method to use the in-house developers to create algorithms. To make the most effective FX risk management algorithms is very hard and time consuming. Crowd Sourcing enables a whole different aspect to create algorithms, using more brains to create these immensely complicated methods to decrease FX risks. More information about the minor Treasury Management at the University of Applied Sciences? 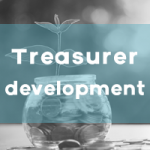 Due to the improved economy and other factors we notice a rising interest in the development of the treasurer as a person. Education, competence development and labour market changes are the most obvious topics this concerning. This is why we started the Treasurer Development initiative.